I have been seeing an increasing number of patients who have been diagnosed with a skin disorder called rosacea. These patients state they have very sensative skin, and are often nervous about treatments. Rosacea is a chronic skin disorder of unknown origin that begins in the 30’s and is characterized by redness on the cheeks, nose, chin or forehead (most commonly, it can occur on the body as well). There are no specific tests that can be run to determine if you have rosacea. Rosacea occurs in periods of flare-ups and remissions. While there is no cure, treatments aimed a reversing signs and symptoms are necessary. Rosacea will worsen over time if left untreated, becoming ruddier and more persistant. If you think you may have rosacea, schedule and appointment with a dermatologist. Many patients experience more than one subtype and symptoms occur in varying degrees of severity. Treatment is based of type and severity of symptoms a patient presents with. Flare-ups are most likely to be associated with certain stressors. Remember, even with this disorder, different patients need to follow different treatment plans based of their symptoms. Many dermatologists suggest you keep a diary of flare-ups and remissions to help track your stressors. Have a gentle skincare routine with minimal products. Moisturizer is key for preventing burning, stinging and irratation. A strong moisture barrier will keep out impurities and irritants that may aggrevate the skin. Test products on the neck before using them. Make-up can dry and irritate the skin. Use water-based make-up products. Avoid waterproof and heavy foundations. Avoid make-up removers. Look for a light foundation that contains silicone (for skin barrier protection). If it contains a broad spectrum SPF, even better! A dermatologist may perscribe you a product called Metrogel. It can be drying, so again, use a good moisturizer. Products with Vitamin C: Vitamin C is known to decrease free radicals, which play a major role in inflamming rosacea when patients are exposed to the sun. The formulation of the product matters! Make sure it doesn’t containt alcohol as an ingrediant, specificall propylene glycol! Avoid products containing alcohol, witch hazel, or fragrances. Avoid peppermint, eucalyptus oil, clove oil. Check your products for an ingrediant “propylene glycol,” which is a perservative that causes stinging. Do not use a toner, astringent, or anything that exfoliates. These products will dry and irritate your rosacea. Be careful with over the counter products for redness. Altough they may claim they can help, you really should talk to a dermatologist. **Interesting note: One article suggested patients with rosacea avoid so-called “natural” skin care products. If you look at the list of ingrediants in these products, it is usually very long, and is likely to contain something that will irritate rosacea. Antibiotics are typically perscribed for their anti-inflammatory properties (not their bacteria fighting capabilities). They come in creams, lotions, or oral forms. Medications containing sulfer or azelaic acid may be prescribed as an alternative to, or in conjunction with, antibiotic treatments. Acne drugs are sometimes prescribed. Avoid these if you are pregnant or plan on becoming pregnant. topical steroids (speficially mentioned is prednisone). drugs that dialate blood vessels, such as certain heart medications (NEVER discontinue a heart medication without a doctor’s approval!). Lasers emit light energy that targets red blood vessels. Heat for the laser’s energy causes the red blood vessels to disintegrate. Online Dating: how to increase your odds. Starting to date again? 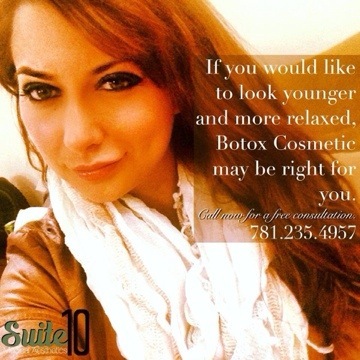 Interested in doing Botox first? Here’s why that’s a great idea. I’m thinking of making this my match.com profile picture! I wonder what type of man I would attract! Trying to decide which product you want to go with for lip augmentation? Check out this post! Lip Augmentation: Basic Information for Patients. Interested in Lip Augmentation? Check out this video and learn the basics! I Want To Learn More About My Readers! I haven’t been able to video blog for a while due to technical difficulties (i.e. I left my iPad at my friend’s house in Hartford), so I will take this time to learn about new blogging techniques, like surveys!!! Tell me more about you and what your interested in on this simple demographics survey. I made it myself… hopefully I didn’t have any technical difficulties. The secret factors that contribute to defining human beauty. I touch upon the basics of what a filler is and the different families of filler products. What happens to your skin as you age and what type of products you should be looking for. I attempt to explain cellular turnover rate. Some interesting statistics on skincare and aging. Locations in the face where Botox can be injected. Lighting is good, and my voice sounds normal. I think I got the hang of vBlogging. Please share this link with your friends!